The Olympic Games at Rio got everyone glued to the sports channel. The spirit, the hope and cheers for one’s nation make it an inspiring event. Kudos to our three champs - P.V.Sindhu, Sakshi Malik and Dipa Karmakar who earned honour for our country. P.V. 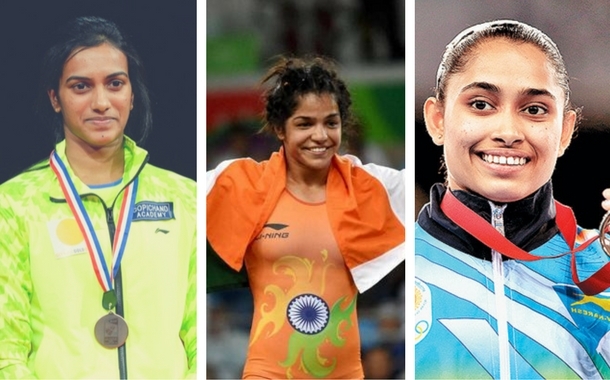 Sindhu goes for gold in the badminton, Sakshi Malik won the bronze medal in freestyle wrestling and Dipa Karmakar attained the 4th position in gymnastics. Here’s some of the interesting tidbits of their success stories. Sindhu drew inspiration from the former Indian badminton player, Pullela Gopichand and started playing at a young age of 8. Pullela Gopichand is the winner of Arjuna Award, the Dronacharya Award and the Padma Bhushan. Coach Ishwar Dahiya trained Sakshi in wrestling when she was only 12 years. She took up a sport, not meant for girls in her home town - Rohtak and competed with boys. Sindhu’s father P. V. Ramana and mother P. Vijaya are former volleyball player. Her father won the Arjuna Award in 2000. Dipa from Tripura, Northeast India is the first woman to qualify for a gymnastic event at the Olympics. Owing her success to her coach - Bishweshwar Nandi, she wants him to be bestowed with the Dronacharya Award. Sindhu travelled daily around 27 kms to reach the Gopichand Badminton Academy in Hyderabad from her home at Kokapet, Telangana. Her commitment, dedication and years of hard work finally paid off. According to Sakshi’s father - Sukhbir Malik, it was her grandfather Badhlu Ram, a wrestler who inspired her to take up this challenging sport. Here’s 10 things you can do at Rio. Read more about Dipa Karmakar here.